In December, we have our advent calendar and readings, our mischief-making Elf Nim, the Christmas program at our church, the fun of decorating the house, wrapping presents and singing carols. We try hard not to get “wrapped up” in all of the material things that attack from every source and instead, focus on the joy of having a warm house, food on the table and loving family and friends to share the true meaning of the Season. And, we have fun-filled learning activities. 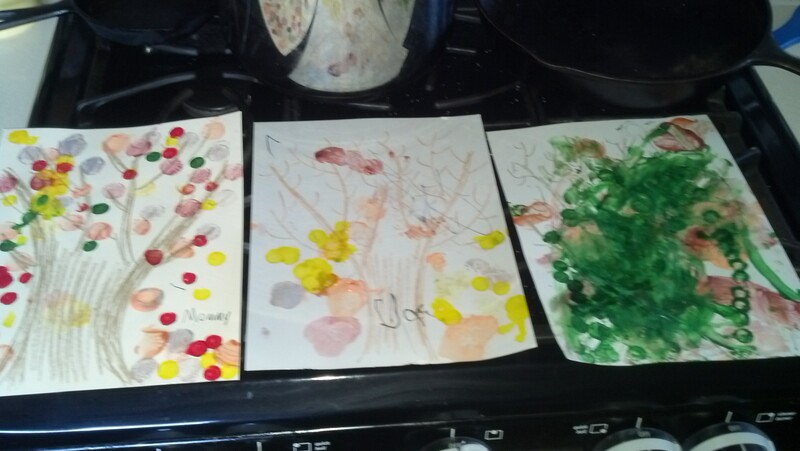 Joe got a little carried away with his and Jake got bored after just a few minutes. 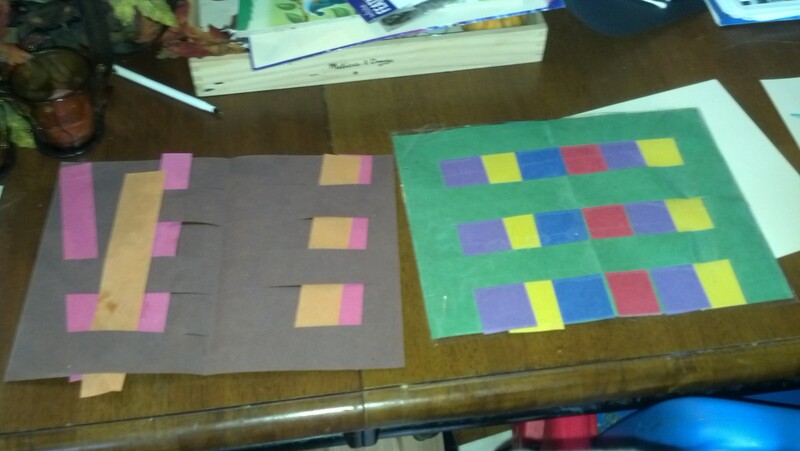 …and we made our place mats. Quite an improvement from last year. Well, sort of. Joe’s place mat last year T, this year B…as you can tell, he likes red. 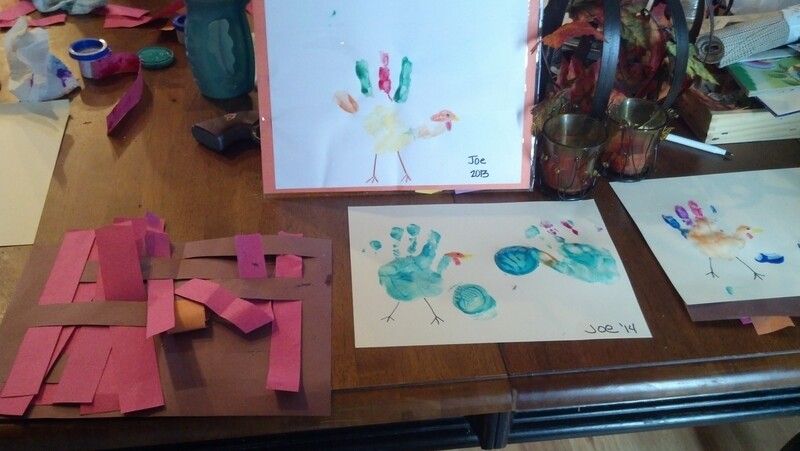 Joe’s handprint: Last year top, this year bottom…apparently Joe likes green. 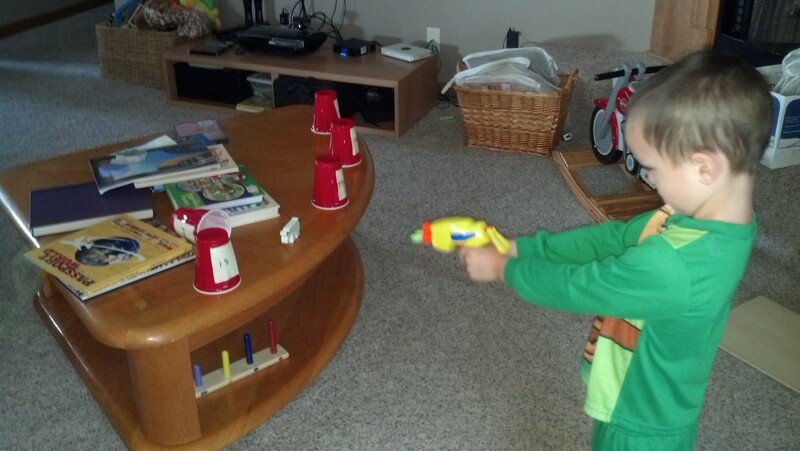 For site word fun, I created a Nerf gun target range detailed in a previous post. 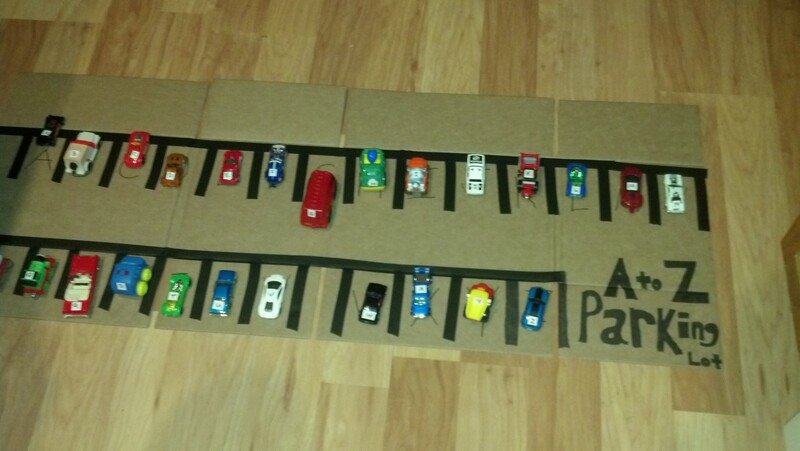 For Jacob, I created an A to Z parking lot. He had fun “driving” through the parking lot and crashing into the parked cars. We will try to get to the letter and site word finder game, I also want to try a fun activity I found at Sun Hats and Wellie Boots. Read a story at bedtime. Put “props” in a basket that will help aid in retelling the story and place it in a spot they can easily find it. Watch with delight as your child plays and acts out the tale. 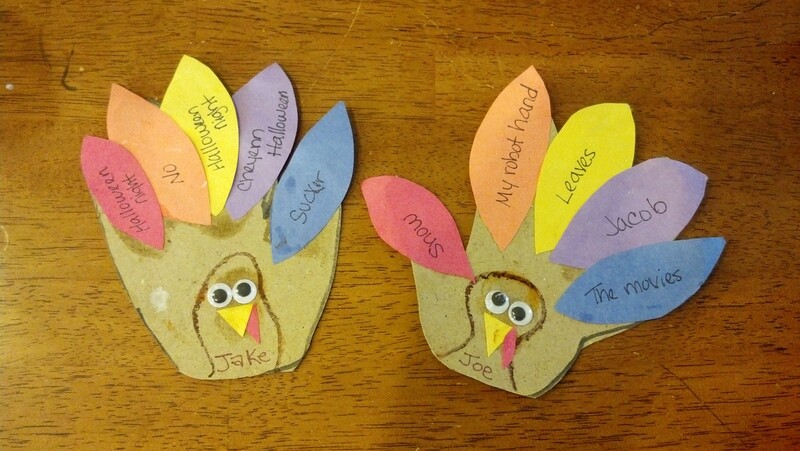 What a great way to further develop the boys’ ability to recall, retell and act out stories! 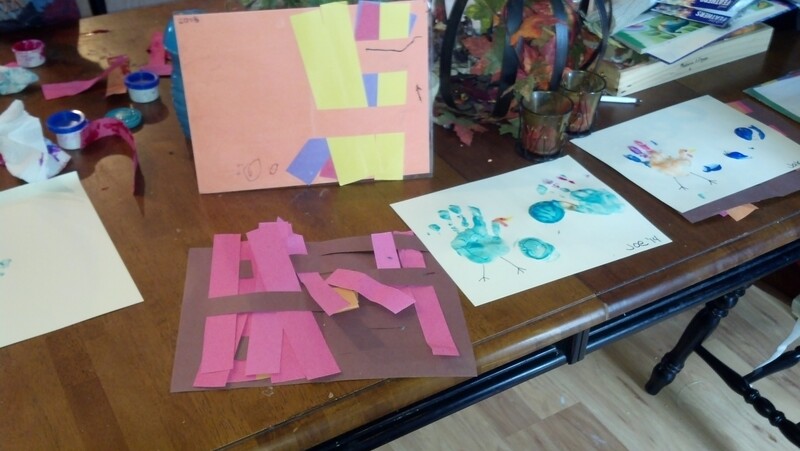 This fellow blogger has so many great ideas on how to instill a love of learning through play. Ideas that I’m positive will make their way to my blog. The Suspension game will carry over to December as well. 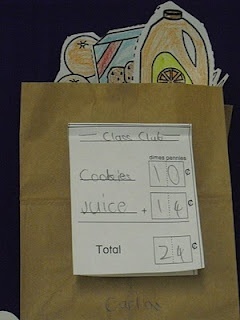 And, now that I have some paper sacks, we can do the grocery game outlined in last month’s post.